The work of Tina Berning is absolutely fabulous. Love the color and the patterns. The textures are amazing. 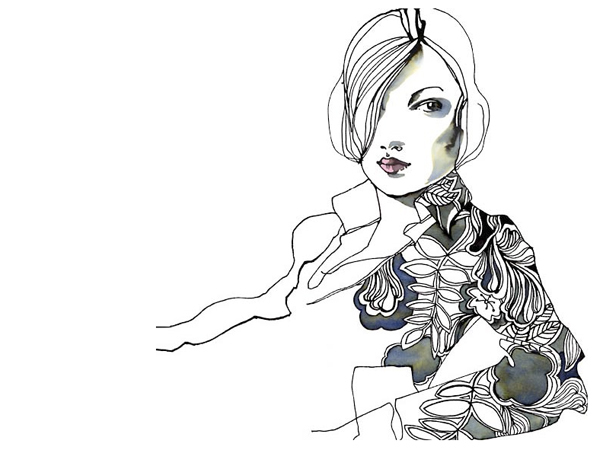 The variety of work in her portfolio is stunning from fashion illustration, editorial, fine art… It’s all there. Gorgeous stuff. An entry from her diary. Oh my! Her work is absolutely beautiful. It makes me want to draw draw draw! Thanks for the scoop. Oh and you have a incredibly beautiful blog!